Catch the Drum Corps International Fan Network's next three live webcasts this weekend on Friday, July 6 from The Whitewater Classic in Whitewater, Wis. and Saturday, July 7 from Drums Along the Rockies in Denver and DCI Kalamazoo in Kalamazoo, Mich.
A $19.95 pay-per-view option will give you one-time access to watch all of the performing corps in your choice of Whitewater, Kalamazoo or Denver. To access all three of these webcasts and all other on the 2012 Fan Network schedule for one low price, choose the $65 Live subscription option, Live+DVD or Live+Blu. 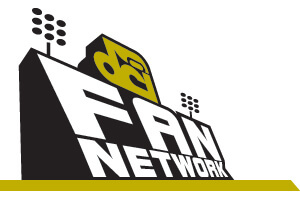 A year-long subscription to the Fan Network also gives you access to on-demand replays of select DCI Tour events, discounts on downloadable media, and more! Learn more about all Fan Network subscription levels.